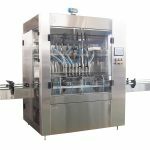 This type of filler is best suited for liquids with very thin viscosities that do not change with ambient temperature or with batch variation. 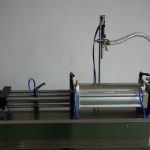 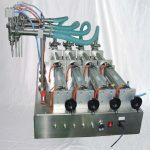 This machine is also suited for applications where recirculation of the liquid in the fluid path is not desireable. 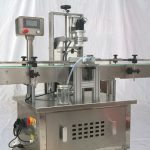 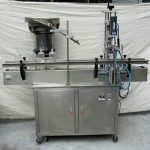 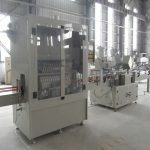 Although this type of filler is used predominantly on products that do not foam, foam may be limited and controlled by subsurface/bottom-up-fill .This is the most economical type of filling machine for a limited range of applications. 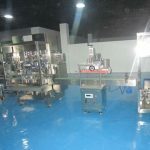 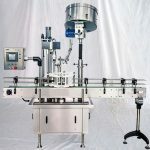 It is especially well suited for corrosive chemicals.It is used international famous brand electrical and pneumatic components, Automatic controlled by computer (PLC ), touch screen control panels ,and high-quality stainless steel frames, easy operating, Little noise ,long service life element , High reliability, metering regulate accurate and handily.The time gravity filler is an effective low cost technology with limited flexibility.